Looking for the perfect Mother's Day gift? 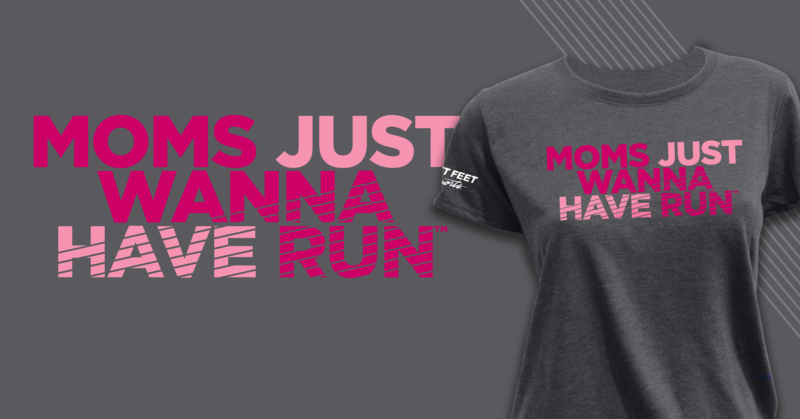 How about pairing this super soft tee with an hour (or so) of child care so that your favorite mom can get her run in? All pre-orders will arrive in late April (on or around April 20th) - just in time for Mother's Day (May 8th)! The details: Charcoal heather ladies tee. 50/50 Heathered Cotton/Poly Blend. Side seamed for tapered, feminine fit. Fashionable set-in rib collar with shoulder-to-shoulder taping. Double-needle sleeve and bottom hems. Preshrunk to minimize shrinkage. $20 each; pay in store when you pick up. Pre-ordering is easy - just tell us which size shirt you'd like to order. As soon as it arrives (on or around April 20th) we'll shoot you an email letting you know it's ready for pick up.